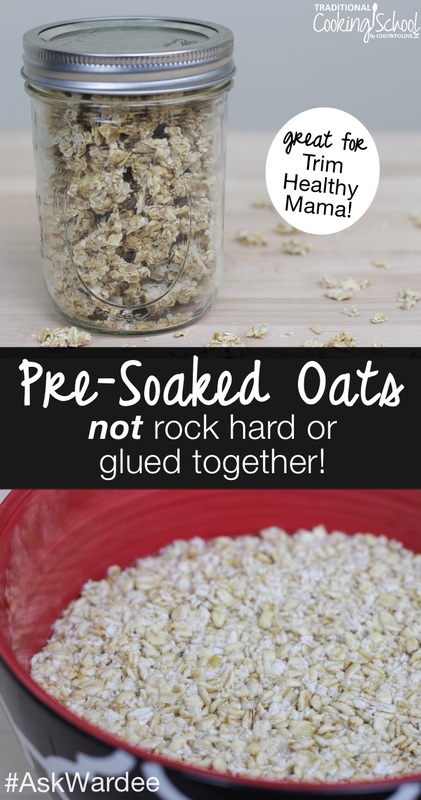 You go through all this effort… you soak rolled oats overnight to reduce phytic acid, then dehydrate them so you have “pre-soaked” oats to use in all your Trim Healthy Mama or quick recipes calling for oats. But ouch! They come out of the dehydrator sooo hard and practically glued together. However, we use pre-soaked oats all the time. Mine are soft and crunchy. Not glued together. Not hard on the teeth. They're delicious, healthy, and fun to eat. What's the secret? It's very simple. It's my “no agitation rule” — and I'll show you how it's done in today's #AskWardee. Check out the particulars below in print, podcast, or video! The Question: How Do I Dehydrate Soaked Oats For Granola So They're Not Rock Hard? Unfortunately, my first attempt turned out really hard. Even when I cook them up, they stay in hard clumps, and the granola isn't accepted by the family who loves the texture of real granola. Do you have any suggestions? Or if nothing else could you just walk us though the steps and add your commentary so I can figure out what to expect at each step? Thanks so much! Whether you're doing granola (like one of these deliciously nourishing recipes) or wanting to make one of the Trim Healthy Mama recipes that call for oats… pre-soaked oats are your best friend! And mine — thanks to the “no agitation” rule — are NOT glued together or rock hard. They crumble apart while they're soft and crunchy. You'll love them! Put oats in a large stainless steel or glass bowl. Pour liquids over all. Do not stir. Cover with towel or plastic wrap and let soak overnight, or 12 to 24 hours. Line dehydrator trays with parchment paper (or Paraflexx liners if using an Excalibur dehydrator… my favorite!). Using a slotted spoon (a flat skimmer stainless steel slotted spoon like this is THE BEST) and being gentle not to stir oats at all, dip into bowl and bring up a spoonful of oats. Let liquid drip out, then spread on dehydrator tray. Repeat until all oats are spread out in even layers (1/4-inch to 1/2-inch thick). Dehydrate for 2 hours at 145 degrees Fahrenheit, then turn down the temperature to 115 degrees Fahrenheit until dry (about 12 to 24 hours). When dry, break up gently with your hands. Store in an airtight container when fully cool. Renee, you would do the same thing with a soaked granola recipe… don't stir much at all or soak the oats separately from the other ingredients. Stirring releases the starch and they get glued together. Or, make pre-soaked oats and then toss with the other ingredients and dry again to create the granola. 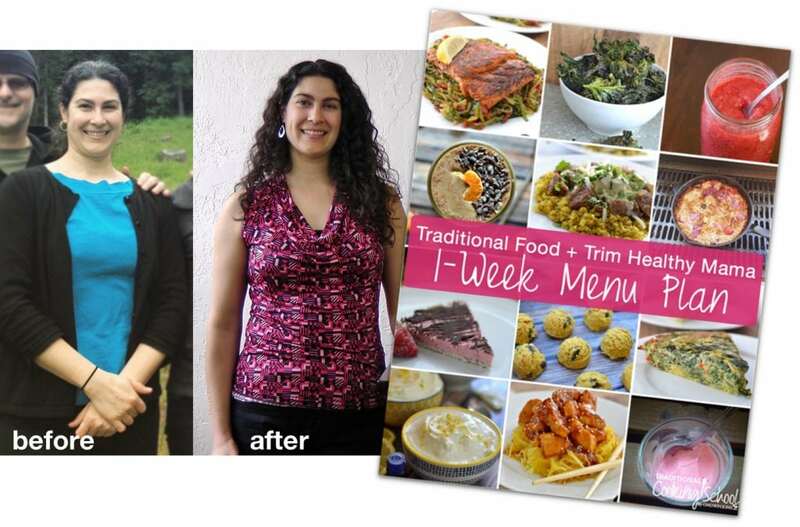 Psst… If you'd like a free 1-week menu plan that combines Trim Healthy Mama with Traditional Foods (it's a lot like the foods I ate and still eat to maintain a 30+ pound weight loss since 2014, click here to sign up. The brief version of my story is that between May 2014 and May 2015, I lost more than 30 pounds following Trim Healthy Mama with Traditional Foods. I wanted to lose weight but I didn't want to stray from what the family was eating, nor did I want to purchase other kinds of foods. I found it was 100% possible to do THM this way. Rather than eat different foods, I simply changed the way I combined them at each meal and snack. Now, I'm not going to go into the whole idea behind Trim Healthy Mama (their new cookbook covers it all) except to say that because both fat and sugar are fuel sources, you only eat 1 of them at each meal or snack — along with protein. Doing this reduces your total caloric load so you're not storing excess as fat, yet eating all the food types maintains or increases your metabolism so you can dip into and burn stored fat. It really worked for me without me feeling any deprivation. I got to eat nearly everything! I even ate more bread and carbs than I had been before, ironically. And if you'd like a free 1-week menu plan that I put together that's a lot like the foods I ate (and still eat), click here to sign up. Q: Shouldn't you rinse the oats after soaking? A: You can, but then they gum up. And rinsing is not necessary. The phytic acid is deactivated during the soaking so it doesn't have to be rinsed away. We often rinse foods we soak (like beans, grains, or nuts) when we want to rinse away all the sour taste or if they were dirty with lots of debris. In the case of pre-soaked oats, they're not too sour (if soaking with Kombucha as I do) and they're not dirty… and if we did rinse, they might get all gummed up and rock hard. So… no need to rinse. Q: What can I use for soaking besides Kombucha? A: I use Kombucha because I prefer to use a probiotic acid — the probiotics enhance the effectiveness of the soaking. You can use any acid, though — lemon juice, water kefir, apple cider vinegar… all those come to mind. Yogurt or kefir. Buttermilk. Sourdough starter. Take your pick! You can even add some fresh ground whole wheat, rye, or buckwheat flour to the soaking… these are rich with the enzyme phytase to make the breakdown of phytic acid super successful! Q: Can I use an oven if I don't have a dehydrator? A: Absolutely — if it can go low enough in temperature, like 150 degrees Fahrenheit. Higher than that is too high, in my opinion. And keep in mind that the oats will not be “raw” if using the oven because even 150F is too hot for “raw” foods. This is not necessarily a problem with oats, whereas it is with nuts/seeds or other foods that are just hands-down more nutritious raw. So… go for it if that's what you've got! Q: What do you make with pre-soaked oats? A: Lots of things! The idea is that if the oats are pre-soaked, then you can cook with them instantly and healthfully without having to find time for a soaking step during the recipe. Add to cookie dough, simmer for “instant oatmeals”, toss with other ingredients for homemade granola, use in Trim Healthy Mama recipes calling for rolled oats… As I said in the recipe, pre-soaked oats are my best friend in the kitchen! Q: Why dehydrate at 145F? Isn't that too high? A: You start at 145F to get the temp up for more efficient drying. It won't exceed raw temps in the first 2 hours. Then you turn down to 115F for the rest of the drying time. This is a great trick to speed up drying time and still maintain “raw” status of your dried foods. Trim Healthy Table: Trim Healthy Mama's GREAT new cookbook! Have you tried making pre-soaked oats before? What tips would you add to help them actually be edible when they're done? I can’t wait to try these! I was wondering though could you ferment/soak these with sourdough too? I have regular rolled oats. Will that work, or does it have to be thick rolled? Can’t you use milk kefir or live yoghurt ? Also, I thought it was 48hours ? Why do I keep hearing 24 now ? I am guessing water kefir would give them a nice flavor though. 12 to 24 hours is what we normally recommend for soaking oats. Yes, you can use milk kefir or yogurt. Why not add the kombuchato the water first, wouldn’t that distribute the acid more evenly? Hi, Ok, maybe I’m not getting this but I thought (as we do with our soaked nuts to make nut milk) that the oats have to be rinsed thoroughly after soaking, to wash the phytic acid away down the sink? I prefer steel cut oats to the rolled oats. I make oatmeal in my rice cooker and it’s a piece of cake, – comes out perfectly every time. What about if my oven only goes down to 170 degrees? You can still dehydrator oats in your oven, they will not be raw but that’s okay. Possibly use a thermometer and adjust how much the oven door is open to get close to the proper temperature. We do that with our grill to get a lower temp when grilling ribs low and slow. I use just the oven light on. I have almost that exact slotted spoon and it is g.r.e.a.t. Got mine at a dollar store yay. Stainless steel and beautiful a decade later. Love it for lots of things! Is there any difference nutritionally between steel cut and old fashioned oats? Or is the manufacturing process the only difference? I’ve always thought that instant oats were nutritionally inferior…and the other day I seen “steel cut instant” oats. I had to chuckle because I thought that was really a misnomer…? Steel cut being better for you, and instant being next to useless nutritionally…? Instant or quick oats have been pre-cooked, dried, and then rolled and pressed slightly thinner than rolled oats. I have not seen “steel cut instant’ but likely they are pre-cooked and dried to produce a faster cooking steel cut oat. While the nutritional value might be similar they are certainly not as nutritious and easy to digest as traditionally prepared steel cut or old fashioned (rolled) oats. You can still use your oven to dehydrate your oats. You may need to leave your oven door open slightly if it is too hot. Hi; From years of doing Zone, then modifying it with Paleo a year ago, mostly by going mostly grain-free, and more recently periodically modifying Paleo with Keto – I learned in 2004 from Zone, Dr. Sears – that Steel Cut Oats, preferably organic, are the least processed and really the only desirable form of oats due to the lower Glycemic Load (more accurate than the Glycemic Index.) So, two Q’s? 1) Do Steel Cut Oats, the least processed form, need to be soaked? And, 2) If so, same method? Thx. We do prefer to soak, sour or sprout all of our grains to increase nutrition and digestibility. You could use this method is you’d like to make a soaked and dehydrated grain for cold cereal. 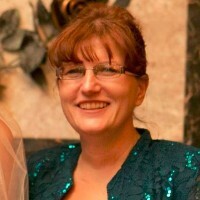 Hi Wardee, this is Renee who asked the question. I’m so sorry I didn’t post earlier, but I was thinking about making oats again and realized I had forgotten to post. So I wanted to write and tell you THANK YOU!!! Yes, these turned out much better!! At first I thought they were going to be too sour for my children because I could taste some sourness in them since I hadn’t rinsed them, but nobody seem to even notice when I didn’t bring it up 🙂 my son ate them up right out of the dehydrator and loved them! This is amazing because He is extremely picky and usually refuses to try new foods. I was able to make oatmeal for my daughter and it was not too clumpy. Although I did find I had to cook it longer than I had been and work it with a fork some. Overall much better and I look forward to doing it more. Thanks again. Ps- I cringe to think of what I was doing before your post… Stirring it lots to mix it well and rinsing it like crazy while stirring it! No wonder we couldn’t chew them! Ha ha ha! How easy is it to pulverize them down into flour for THM ? Do you have trouble doing that ? How do you do that exactly once their soaked ? Grain mill ? Blender ? Food processor ? Sorry to ask a question so similar to earlier ones, but I’m hoping y’all might know. I’ve read online that the processing involved in rolled oats “kills” the phytase (witch they say is the phytic acid fighter in the process) and renders the benefits of soaking null and void. Is there anything to this? Trying to sort through all the available information online can be just too much! ? Wanting to be able to evaluate the benefits of using the more raw oat options and decide if it’s worthwhile for my family. Thanks so much! Put sourdough starter in with the oats soaking. Or add some rye flour along with the acid and water. Either provides what is needed to neutralize phytic acid. How long do these keep at room temperature? I cannot find unflavored kombucha at the store. Do you recommend a certain flavor or purchased brand of kombucha to soak oats with? Wardee makes her own kombucha. If you can’t find unflavored kombucha at the store, you can use another acid such as water kefir, lemon juice, apple cider vinegar or yogurt. Thank you, Vicki. Am I to use full 1/2 of pure lemon juice, ACV, ir yogurt? Seems that might have stronger taste than the kombucha. I do not have water kefir. Thanks again, I am trying hard to do this right. The ratio is 1 tablespoon of acid per 1 cup of liquid, so 1/2 cup is correct. You could also try whey or sourdough starter if you have these on hand. Thank you! I actually have yogurt that should be finished in an hour!!! I am sure I can drain 1/2 whey from there. Yay!!! Thanks again! I am learning so much. Hi, thanks for the great info! Of the acidic options, I tried ACV the first time and lemon juice the second. ACV made the oats very sour and they had a bad after-taste. Lemon juice results were mildly sour and a hint of an after-taste. I’m hoping for zero sour flavor/after-taste. I also did not like the hard gluey texture so I will definitely use your “no agitating” trick and resist rinsing too. I threw in some coarse ground einkorn both times to increase the phytase, not sure if that impacted the flavor? To improve my sour disposition (haha! ), which of the acidic options do you think is the least sour in the final resulting flavor? Water kefir may be your best choice. I find water kefir to be milder than kombucha, lemon juice, or vinegar. Hello and thanks for all the information you put out there about eating well, it’s very helpful. Firstly I did exactly what u did… no agitation.. but after it had been soaking I didn’t seem to have any whole oat pieces at all, it all went into small bits ? What type of oats are you using? I roll my own oats and after soaking they come out whole, yet very soft. There may be some really small pieces but for the most part whole. Once soaked and dehydrated you can use it in your favorite granola recipe because it has been properly soaked. When you cook it, it cooks likes instant oatmeal. How do you roll your own oats?? and from what… steel cut? So you roll, soak, dehydrate? So with making granola in the past I’ve cooked it in the oven. mixed oats, spices etc in bowl then oven. How would I do that with the dehydrator?? 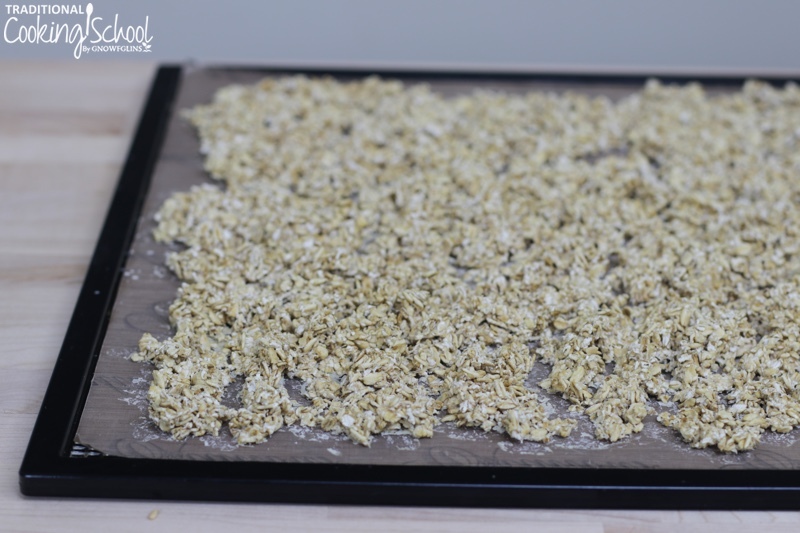 To make the presoaked oats, you would just soak and then dehydrate them. Then they are ready to use in any recipe. You can go ahead and use them to make granola like you have in the past, combining them with your other ingredients and then baking the granola in the oven. I guess the only issue I’m having now is the fact that the oats are crumbling and not sure how to combat this, because they don’t taste like oats any more and I’m not enjoying them like I use to. You could try soaking them the least amount of time to see if it doesn’t crumble as much, or try a different brand of oats. I am not sure why it is crumbling, I have not had this issue. This is just genius! I’ve made them many times and they always turn out just perfectly. The last batch I made, I started too close to bedtime and I forgot about the 2 hrs at 145 then turning the temp down. I did 1 hour at 145 then 12 hrs at 120 and they still turned out just fine. They were probably done before the 12 hrs were up but I was busy and didn’t check. Since I often forget to soak the oats before I need them (or on a whim decide to make something with oats) I love having these on hand. In the video you mention 1 tablespoon acidic medium per 1 cup water however in the recipe above for 8 cups oats there is only 1/2 cup of acid…shouldn’t it be 8 tablespoons which is 2/3 cup?? 1 Tbsp per 1 C is the correct ratio. 8 US Tablespoons is 1/2 US cup.